A COURT has ordered a local airline company to cease its operations, pending the hearing of a case relating to its alleged failure to pay lease fees for its aircraft totalling K21.2 million. Passengers who fly on Travel Air have been told of the suspension of flights, and advised to get refunds for tickets already purchased. The court order was sought by the American-based company Aerocentury Corporation, which had leased four aircraft to Travel Air in 2011, after the local company obtained a PNG Civil Aviation Safety Authority and Aircrafts Operators certificate to operate as an airline business in PNG. The defendants are Travel Air, Sarakolok West Transport Limited trading as Travel Air, Eremas Wartoto as the company director and shareholder. In Port Moresby on Monday, Justice Derek Hartshorne, for the safety and preservation of the planes, granted urgent orders directing Travel Air to ground the planes. restrained from using any threats to the plaintiff, its servants or agents. Two of the planes requiring service are in Madang and cannot fly because they do not have spare parts. Only one was flown to Port Moresby and is grounded. One has already been returned to the owners. The Fokker F50 aircraft were leased between June 28, 2011 for a period of 48 months. The owners have refused to extend the lease. The other two were leased on Sept 16, 2011, and Oct 7, 2011, respectively for a period of 42 months. According to an affidavit filed by Aerocentury Corporation’s vice-president Johannes Gerardis Middelkoop, Travel Air had not paid rentals of (US$7,006,162) K21.2 million as of Jan 18, 2016. He claimed that Travel Air had not made any payment since 2013. Aerocentury sent letters to the defendants to return the aircraft and necessary accessories on January 28, 2016. The letters demanded that all the aircraft be returned by Tuesday February 2, 2016. Attempts were made by Travel Air to extend the deadline for the repayments but Aerocentury declined. Aerocentury said they did not want to have any deals with Travel Air anymore. They do not want to sell the planes or lease the planes to Travel Air. They just want their aircraft returned. Middelkoop said his firm had met with and informed CASA PNG that Travel Air no longer had any right to continue to hold onto the aircraft. Attempts to get comments from the management of Travel Air yesterday were unsuccessful. Meanwhile hundreds of passengers wanting to travel on the airline out of Madang had to refund their tickets when the company closed its operation this week. 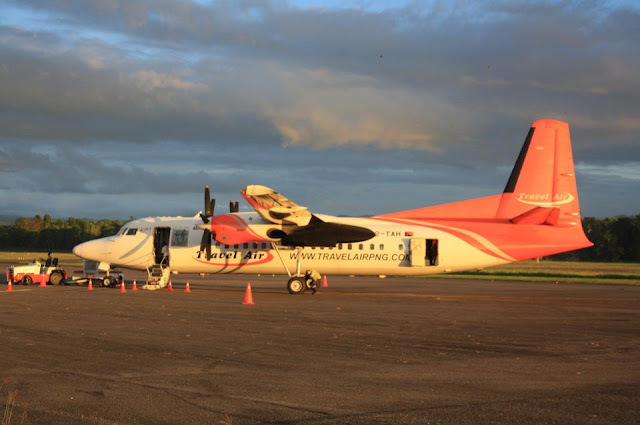 All flights out of Madang ceased on Tuesday. Travel air terminal’s main gate had a chain around it and was locked while security guards provided 24 hours security to ensure all company properties were safe.